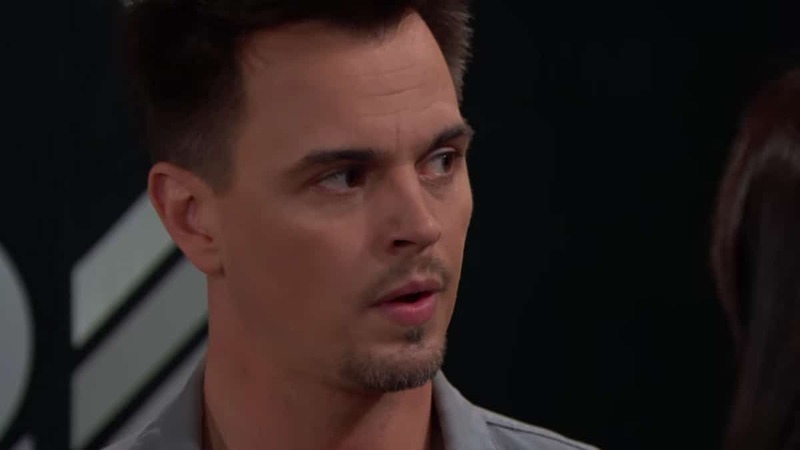 The Bold and the Beautiful spoilers for next week’s episodes of the CBS soap tease that the reverberations from the presence of a couple of bold and beautiful newcomers are far from over now that the truth is out. Bill (Don Diamont) may be off the hook as Flo’s (Katrina Bowden) presumed father, but that doesn’t mean the tempest in a teapot is over. Far from it, the storm is just beginning! Now we know that the late Storm Logan fathered Flo with mama Shauna (Denise Richards). This only complicates matters because Flo is now officially a Logan, just like her cousin Hope (Annika Noelle). Flo is torn about keeping the secret that Hope’s baby is alive, leading to some epic fallout. In the meantime, Flo gets to know her insta-family and gets the 411 on her brave dad. Seems he killed himself in order to give his heart to sister Katie (Heather Tom). That’s what families are for, right? This further pushes the guilt factor for Flo, who is not living up to the Logan family standard of selflessness and love! On a lighter note, Bill is distracted. Next week he goes to great pains to get what he wants, but does the target in his sights feel the same way? Now that Flo and Wyatt (Darin Brooks) aren’t brother and sister they’re free to resume their torrid high school love affair where it was left off. Sally (Courtney Hope) gets an inkling that these two aren’t quite ready to quit each other and does something shocking! Just because Steffy (Jacqueline MacInnes Wood) isn’t around, don’t expect Taylor (Hunter Tylo) to give up on her vendetta to get Liam (Scott Clifton) back to her side. She works her son Thomas (Matthew Atkinson), manipulating his already tender feelings for Hope. Will the confused single dad take the bait? Be sure to tune in and find out! The Bold and the Beautiful airs weekdays during the day on CBS.